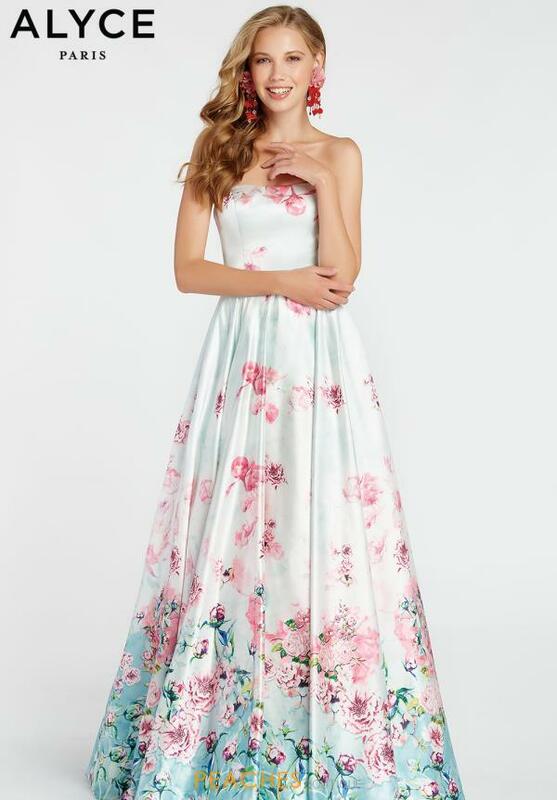 Made in a fabulous floral printed fabric, this Alyce Paris style 60431 is a gorgeous choice for prom. 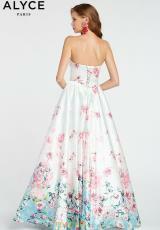 Show stopping gown showcases a stunning strapless neckline thus paired with a fabulous lace up back closure. Dramatic skirt flows out beautifully from your waist in an a-line silhouette that is made in the rich satin material.